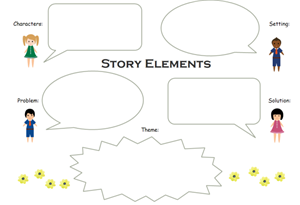 Creating reading graphic organizer with free templates and examples. Reading graphic organizer has never been easier. 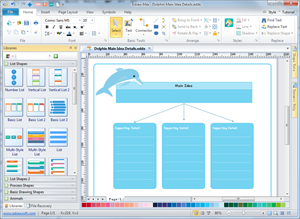 Graphic organizers use visual graphics to display information and organize materials. It's an effective reading strategy when representing key information that is abstracted from an article. It's a modern way to help students understand a paragraph. Every teacher should have a graphic organizer design tool so that they can make any kind of graphic organizers to aid their teaching. As a powerful graphic organizer creator, Edraw contains a large range of editable graphic organizer templates for reading comprehension. More importantly, you can design personalized graphic organizers on your own using this easy-to-learn tool. 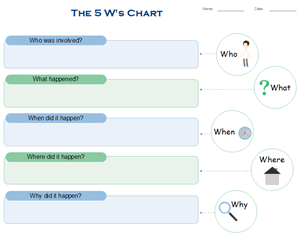 This story map help students better comprehend a reading material. It's available to download and print. Find more Stop Map templates. 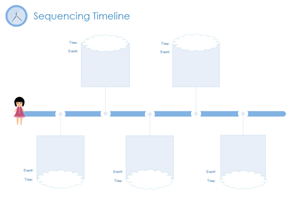 This sequencing timeline is used to help students organize the events in an article in a chronological order .